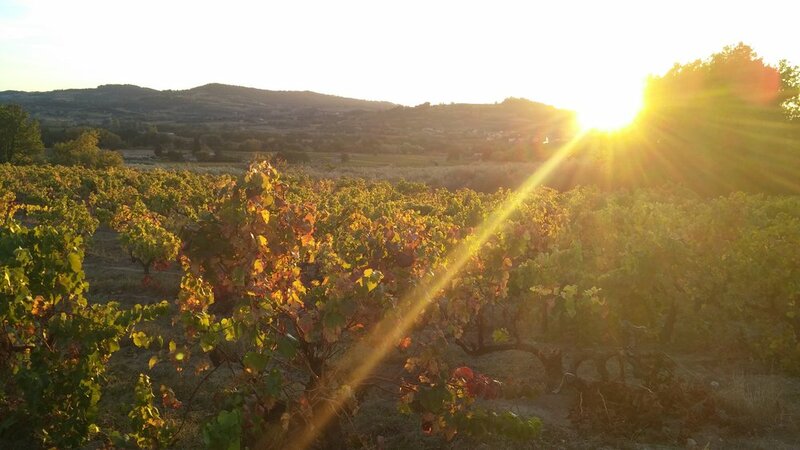 Soak in the late-season sun in southern France while you paint and watch the grape harvest in one of the world’s most picturesque locations. From vineyards to olive tree groves, from gently rolling hills to the peak of Mont Ventoux, Provence offers the painter a rich variety of scenes to capture in oils, water colors or pastels. Non-artist partners and others are very welcome on this tour and will enjoy the many cultural activities and additional excursions planned for you. The town of Vaison-la-Romaine, and the surrounding towns of Nyons and Mirabel-aux-Baronnies, rests in a relatively undiscovered corner of Provence where castle ruins sit side by side with ancient stone villages, where tidy French gardens grow beneath spreading fruit trees. It is here where you’ll be painting for a week under the skilled guidance of River Gallery School instructor Lynn Zimmerman. The surrounding area is the largest grower of olives in France, while also producing apricots and other fruits, not to mention miles and miles of grape vines. Vaison-la-Romaine itself dates from at least from Roman times, complete with an amphitheater, Roman town, and other ruins. Of more recent vintage is the Medieval castle that tops a labyrinth of ancient village streets. This trip is sponsored by the River Gallery School. To register for this trip, call the school at 802.257.1577 or send an email to: donna@rivergalleryschool.org. More information is found on the River Gallery School Website. Lynn at work in Vaison-la-Romaine during our 2017 trip to Provence. Whether the subject matter is a hillside vineyard in Provence or a plate of cheese, Lynn helps her students see the paintings they want to make, and make the paintings they want to see. Currently, she teaches watercolor painting and book arts at River Gallery. Take three nights in small, southern French city of Avignon to overcome jet lag before starting the formal Artist Tour. Avignon, one-time home of the Popes, provides a perfect setting to get your feet on the ground, brush up on your French, catch up on your sleep and prepare yourself for the following week. Tour leaders will be available during this period in case you should need assistance, but generally you will have unstructured time to explore the city or museums or do whatever you like. On Saturday, when the formal portion of the workshop begins, a van will pick you up at the hotel to transport you to Vaison-la-Romaine. $450 based on double occupancy. This portion of the trip is hotel-only. Meals are not included. Tour participants will stay in a hotel in Vaison-la-Romaine, providing convenient access to shopping, services, the Roman Ruins and the medieval city and castle. Traditional French breakfasts to be taken at the lodging facilities. Several optional excursions will be offered for those who might like to take a day off painting, or for non-painters who may wish to come on this trip. At the end of the trip, participants may opt for additional nights in Provence, the Riviera or even Paris. These trip extensions are up to trip participants to organize, but Travel Fever Tours can make recommendations on what to see, how to get there and where to stay.